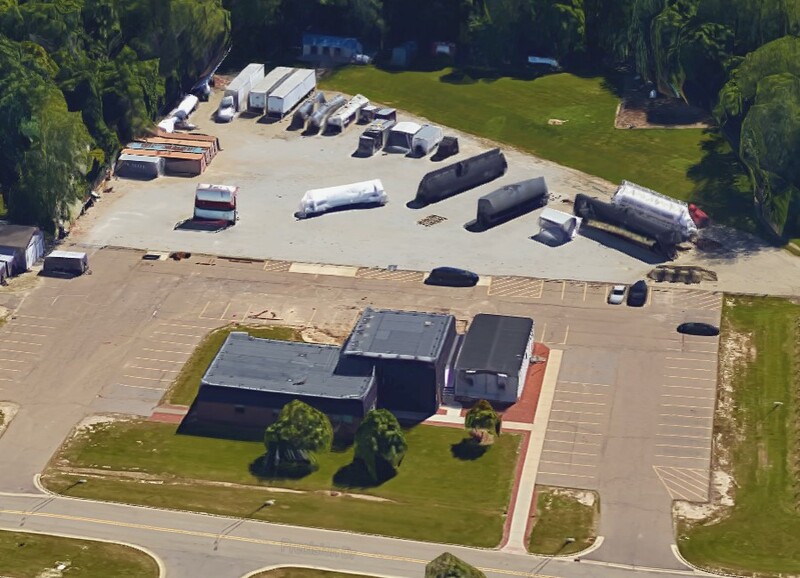 So, in 1989, it was decided that such a facility should be built in Lansing on the site of the Michigan State Police’s existing training center. However, instead of handing over to state government the responsibilities for funding and planning this facility, the MCC led a remarkable private-sector effort to build the facility and then donate it to the state. 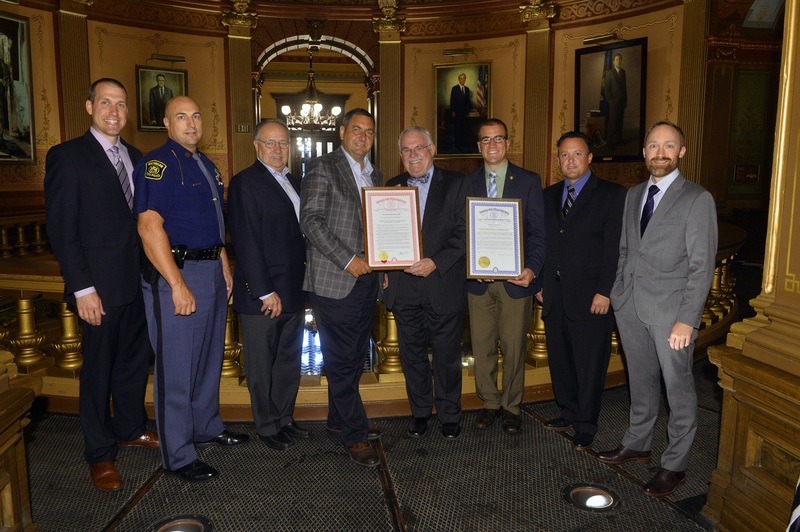 A formal partnership was established together with representatives from the railroad, trucking, manufacturing, petroleum, asphalt paving, and propane gas industries, as well as from the Michigan State Police. These industry associations and many individual companies – including more than 20 of Michigan’s chemical companies – provided funds and in-kind contributions to construct and equip the facility. The total amount of private donations raised then totaled over $350,000. In addition to the funding needs, this public-private partnership also navigated a number of legal and logistical challenges that were presented by this unprecedented effort. 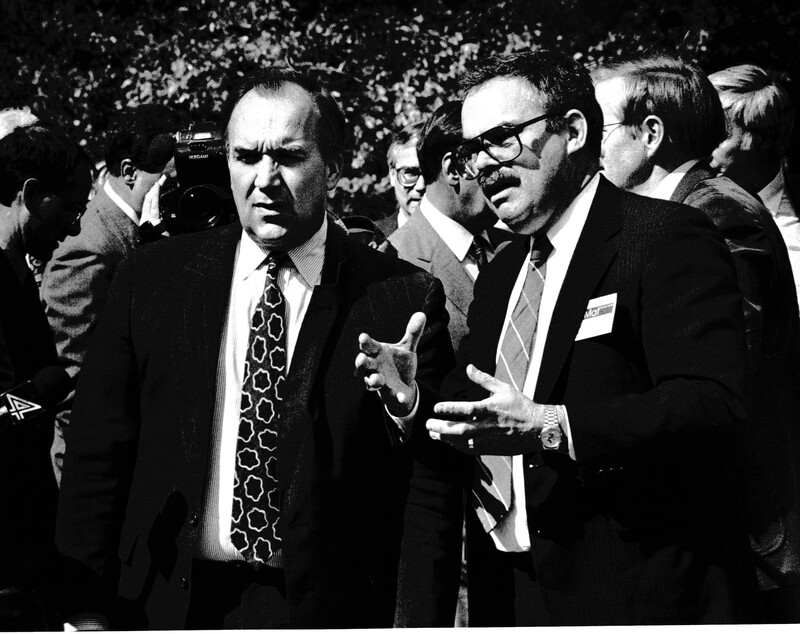 On September 26th, 1991, the Hazardous Materials Training Center was officially dedicated by Governor John Engler, as the industry partnership presented the facility to the Michigan State Police. This event was recognized with media coverage across the state, which focused on the involvement of private industry in this accomplishment. Since that time, more than 50,000 individuals have received training at this four-acre facility, which includes both classroom and hands-on training. The real-life simulation aids include railroad cars, highway tank trailers, above/below ground storage tanks, confined spaces, and personal protective equipment to provide a realistic training environment. The facility is now known as the Emergency Management and Homeland Security Training Center, and continues to be operated by the Michigan State Police. It remains a national leader in hazardous materials emergency training, and provides instruction to approximately 2,000 individuals each year from both the public and private sectors, from across the United States and from as far away as Brazil, South Africa, and Australia. 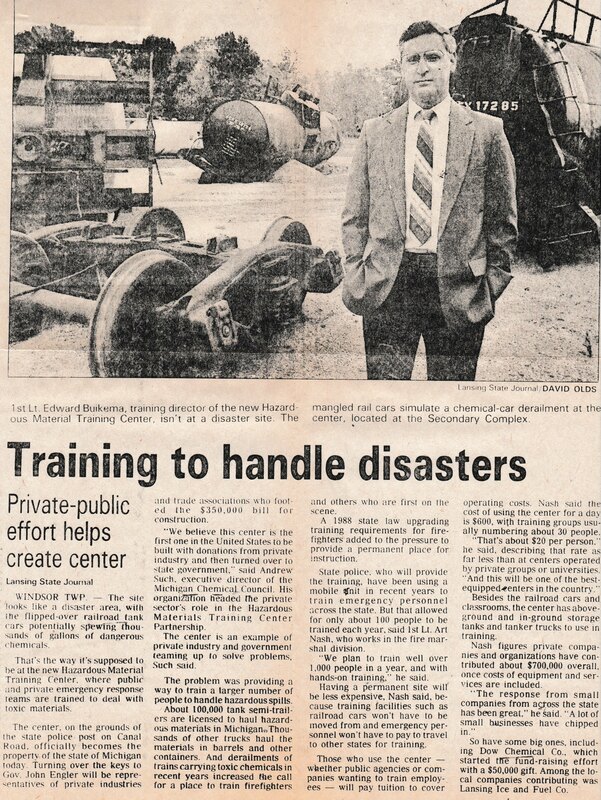 In recognition of the 25th anniversary of the Training Center’s dedication, both the Michigan House and Senate each adopted ceremonial resolutions in tribute to this true public-private partnership. Please click here for a copy of the resolution. The MCC thanks all the partners in this project, and encourages continued industry involvement with the facility for customized training needs. Please click here for more information from the Michigan State Police about the facility and its training offerings. 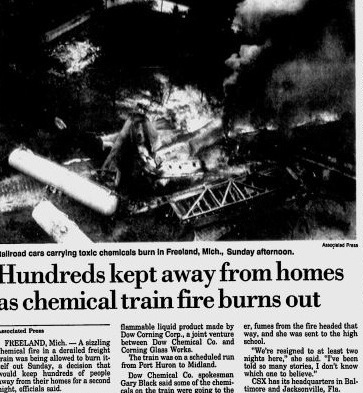 Comments on "Michigan Chemistry Council Celebrates 25th Anniversary of HazMat Training Center"